Winter blues got you down? Snow day after snow day holding you hostage in the same house as your kids? 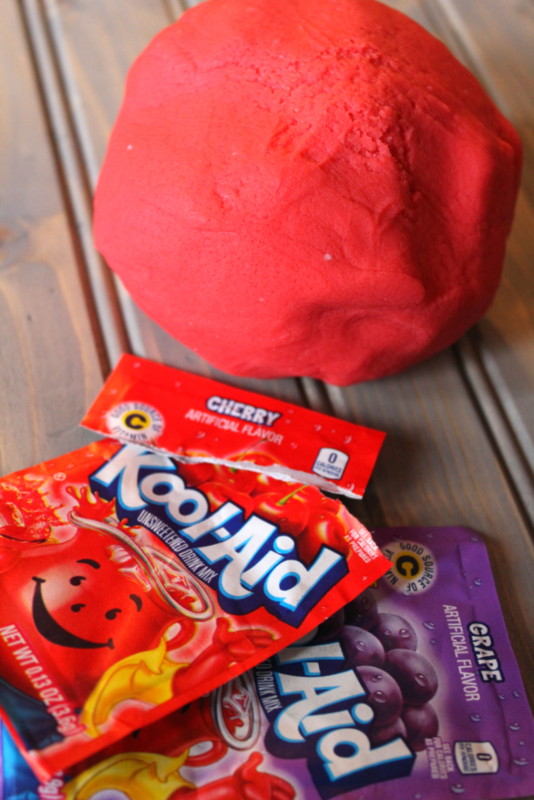 Try making this Homemade Kool-Aid Play Dough! 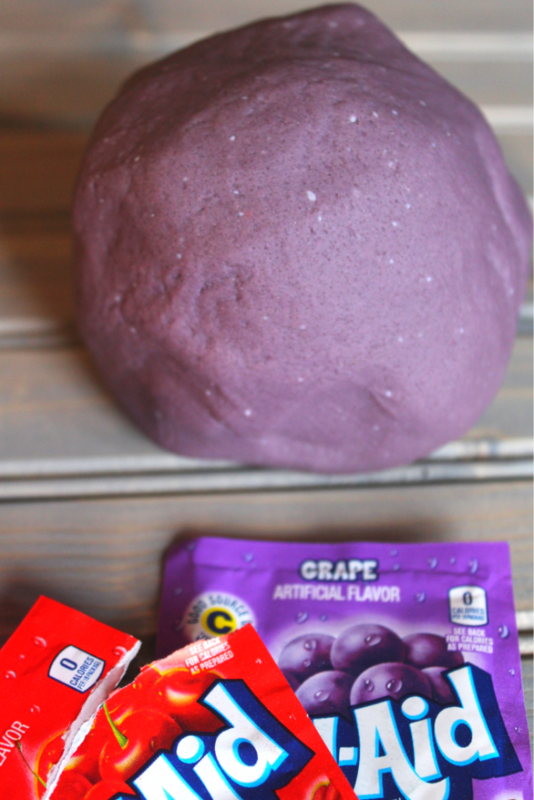 I remember my mom making this homemade play dough for me as a kid. Putting me to work, stirring and kneading the dough, before turning me loose to play and form different creations for hours upon hours of fun. 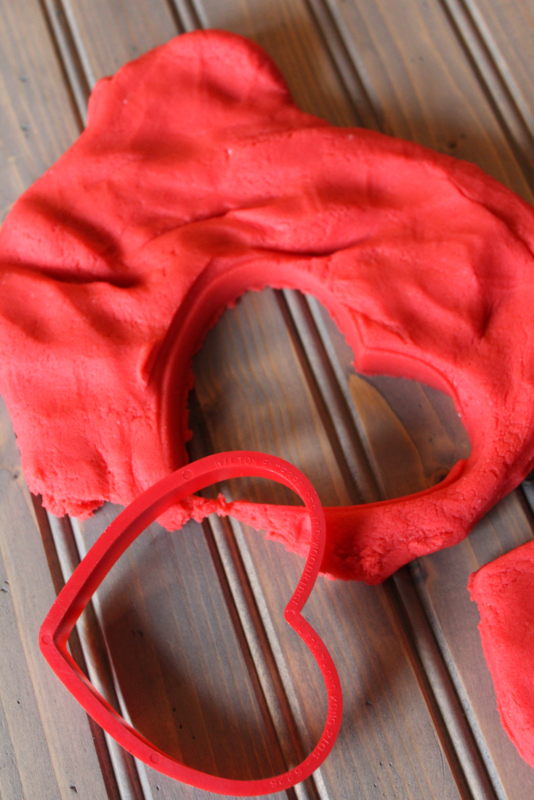 This play dough recipe has been made with family and friends. It’s been made for 4-H projects and sleepover parties. 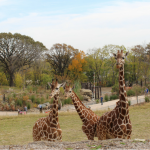 For two year olds and two year olds at heart. 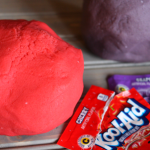 Want red play dough that smells like Cherries? Or purple dough that smells like Grapes? 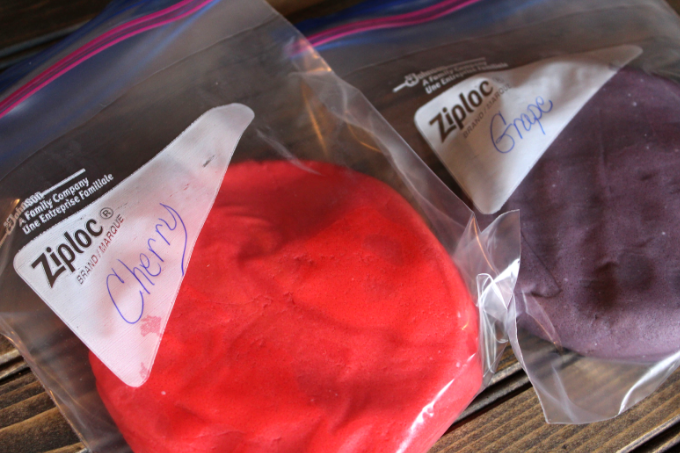 This Homemade Kool-Aid Play Dough keeps well in an airtight container or resealable bag. 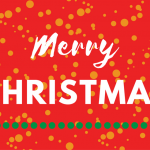 Make it as a gift to give or heck, keep it for yourself. It’s a great stress reliever! In a large bowl, combine the flour, salt, and alum. Bring water to boil in a small saucepan over medium heat. Once boiling, whisk in Kool-Aid packets. Pour Kool-Aid water and oil into dry ingredients. Gently stir and then knead all of the ingredients, until dough comes together. 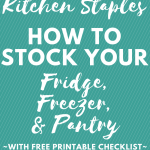 Let cool before storing in airtight container or resealable bag. Note: Use rubber gloves to help stir together, since mixture will be very warm at first. 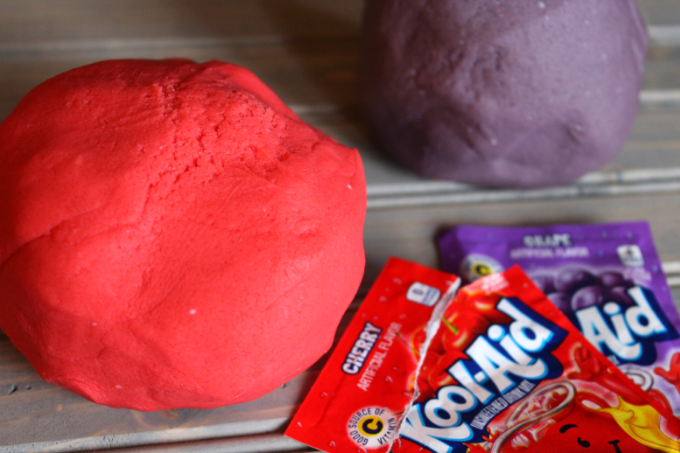 Note: This recipe can easily be cut in half to create two different play dough colors.